Last month I was lucky enough to travel to Amsterdam for a work trip. It’s actually one of my favourite cities, and one I’ve visited multiple times in the last few years. On this particular trip I only spent a weekend in Amsterdam. Whereas previously I’ve spent up to 5 days there, the ultimate length is probably 3 nights. Anything longer then I recommend leaving the city to explore the rest of the Netherlands. There’s lots of places to explore and discover, but I wanted to share my top tips for a short weekend break in Amsterdam. If you’re flying into Amsterdam, the airport is connected to the main train line station. This will take you straight into central Amsterdam. If you’re lazy like me, they also have uber there, and the cabs pick you up from meeting point ‘C’. There’s also the city cabs just outside (next to the famous big red Amsterdam sign), and cost to central is a flat €50. 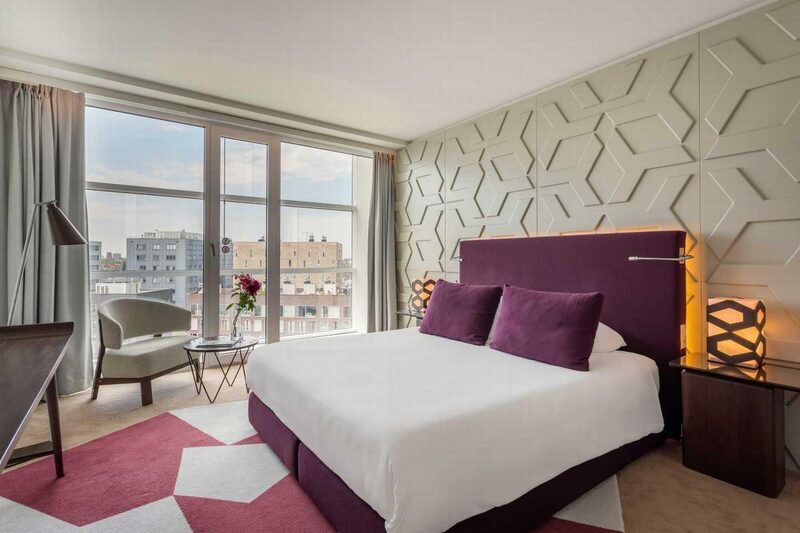 We stayed at the Room Mate Aitana Hotel, boasting gorgeous views overlooking either the river or city skyline. 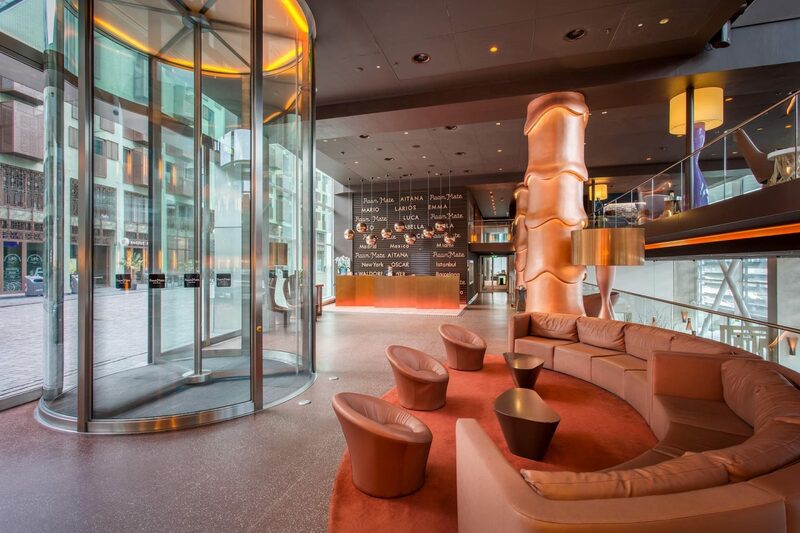 Located a short 8 min walk from Central Station and about a 15 min walk from Dam Square. It’s the perfect location! The rooms were incredibly spacious and had all the amenities you would expect at a 4/5 star hotel. I’ll caveat that due to this being a business trip, I did have the luxury of staying in a more expensive hotel. But if your budget doesn’t stretch that far, Amsterdam has many options including cheaper basic hotels as well as hostels. All perfect for a weekend in Amsterdam. 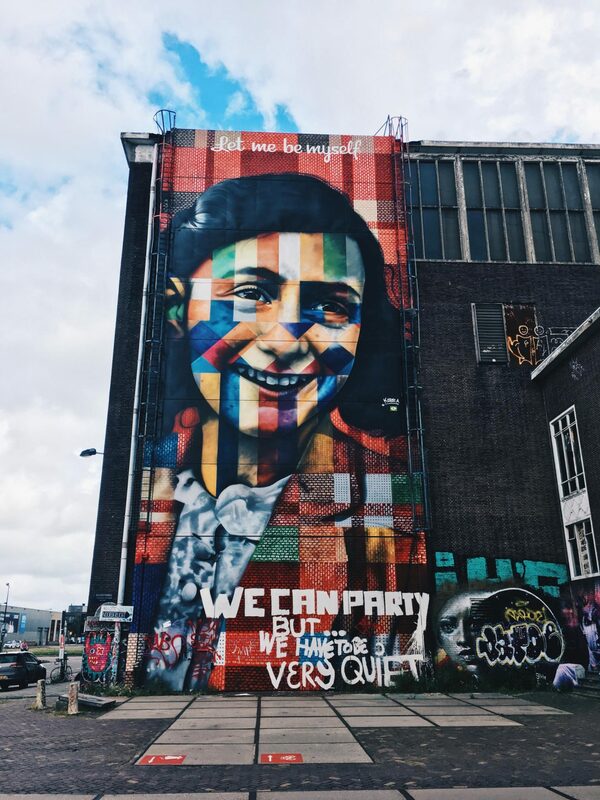 If it’s your first time in Amsterdam, you have to visit the Anne Frank house. It’s only around a 10 min walk from Central Station and there are plenty of shops, bars and restaurants to discover also. Be warned, this is one of the top tourist destinations. So you should purchase your tickets in advance online and get there early to avoid disappointment. I’ve been there twice and on both occasions I’ve had to queue to get in. I also recommend not bringing any big backpacks or luggage with you. As this is the original house, the stairways and hallways are very narrow so carrying a bag is not ideal. If you have time you can also go across the river by ferry to Disteldorp/Noord, where there are bunch of restaurants and bars. This part of Amsterdam has recently been developed and can be compared to the gentrified hipster spots of London. There’s lots of street art to see and some of the best restaurants too. Next on the list would have to be the museums. There’s lots of museums to visit, I was even able to visit one in Utrecht, just outside of Amsterdam. 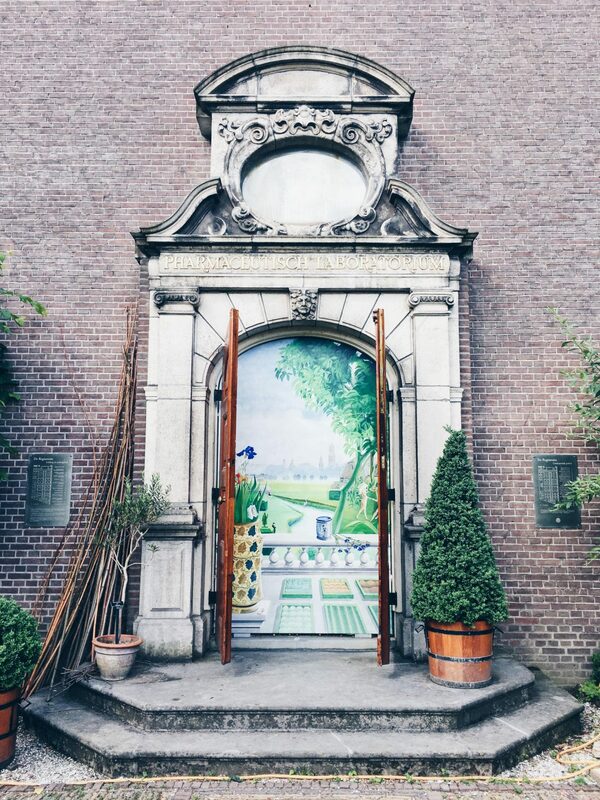 The University Museum in Utrecht is actually a science museum and has a gorgeous botanical garden on it’s grounds. Great to explore the different plants and flowers as well as enjoy a coffee in the sun. Ok, so I kinda wanted to finish on this note to advise tourists about the deal with “coffee shops”. Not to be mistaken for cafes, coffee shops are actually cafes for those wanting to indulge in cannabis. This is actually legal* in Amsterdam and one of the top tourist activities. For those who don’t want to smoke but would still like to experience the effects of cannabis, you can actually purchase them in brownie form. Goes without saying, but please be aware that this activity may cause mind-altering effects – so be safe! Of course, they do serve other things in the coffee shops. And as long as you don’t mind the smell, then you can still enjoy a coffee or drink with friends. So that makes my top tips for a weekend in Amsterdam, have I convinced you to book a trip yet? If you do have any holidays planned, check out my recent post on travel packing hacks. Have any other recommendations for a weekend in Amsterdam? Let me know in the comments below. 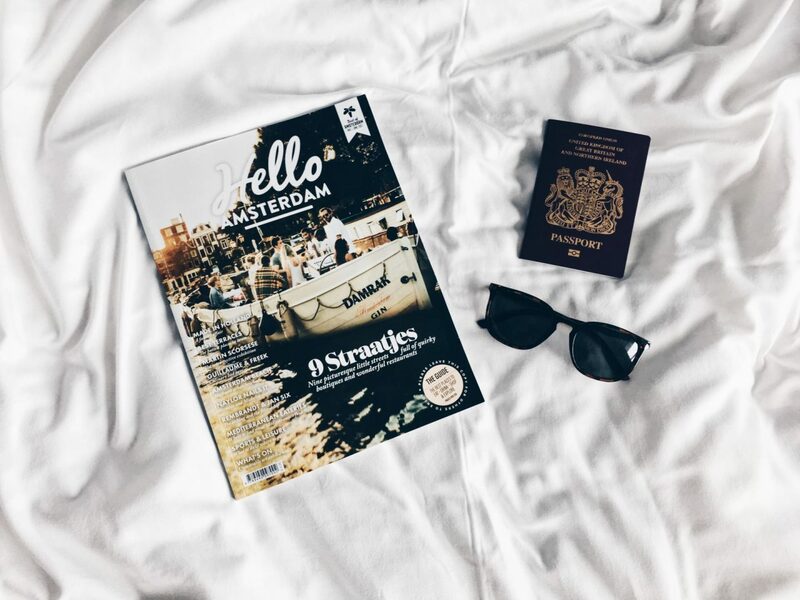 Great tips – I’d love to go to Amsterdam for a little break! I remember my visit to Amsterdam last year, though it was only a day I managed to see so much that I am eager to go back and explore some more. I love Amsterdam, it’s the perfect size for a chilled weekend away. I have been to the Anne Frank House however the queues were absolutely massive and it took a lot of time up! It was nice though! I’ve never been to Amsterdam but having seen a lot of bloggers going recently I would love to explore the city. I would love to visit Amsterdam one day and see everything for myself. Especially the museums, the Ann Frank one must be so emotional to see. I LOVE Amsterdam, it’s one of my favourite European cities and we’ve had some great times there! Your pictures are stunning! What do you do for work that brought you to Amsterdam for a week? Totally jealous. That is so amazing that you can still tour the original Anne Frank house – incredible! Wow looks like a great place to visit! Amsterdam looks like a great place to visit and is on our shortlist for my sister’s hen weekend . Amsterdamn is somewhere i am desperate to visit. Sounds like an amazing city! I have heard Amsterdam is a beautiful place to visit. My friend went to the Anne Frank house and said she just couldn’t stop crying when she was in there. That hotel is amazing! I went to Amsterdam a few years ago but after reading your post, I want to go there again now. Your hotel looks great! Thanks so much for your post, I’m heading to Amsterdam in August so will definitely be taking your tips into consideration. I love Amsterdam and have some amazing weekends there! It sounds like you had a great time! Amsterdam is my favourite city in the world. I’ve been 5 or 6 times and I just keep being drawn back there!